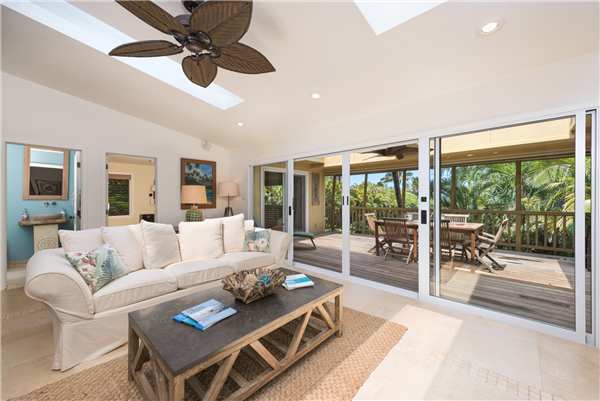 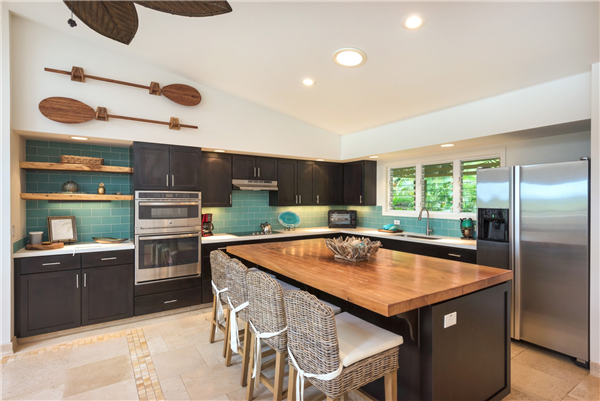 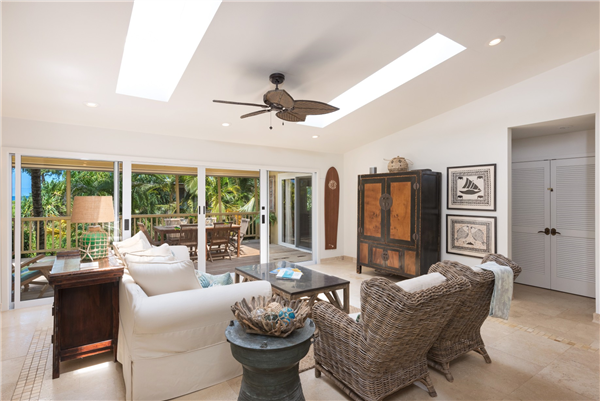 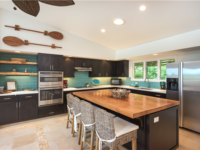 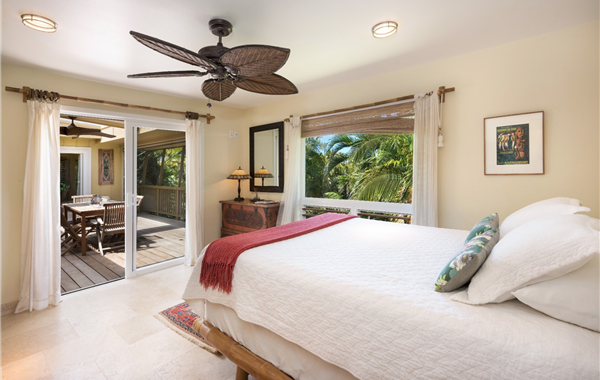 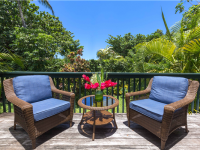 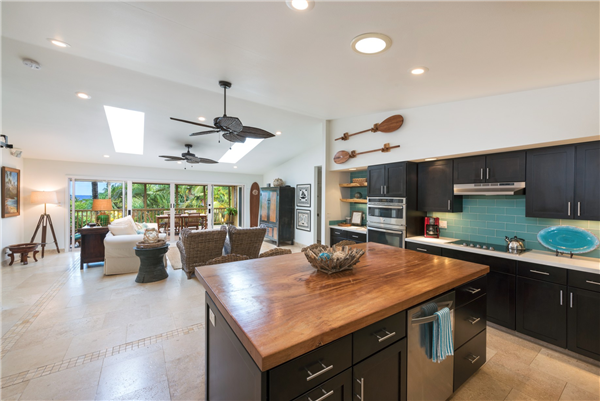 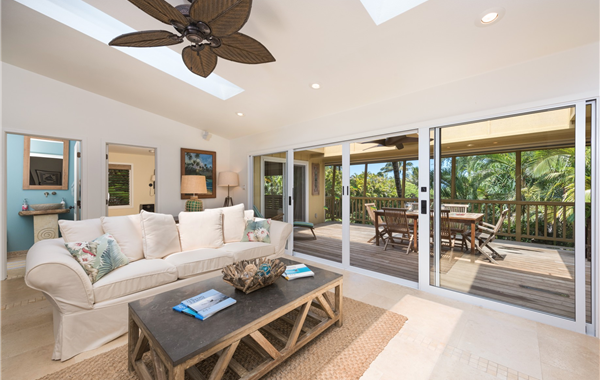 HAENA, KAUAI VACATION RENTAL: The Orchid House, also known as ‘Hale Hina’, is a luxurious, newer, updated home that provides guests with a stunning ocean-based setting, high-end comfort, and ideal location. 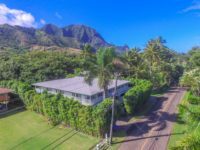 Just two hundred feet from the ocean, it is nestled in an extra-large, palm and coconut-tree filled setting that provides an estate-like sense of privacy and space far greater than most homes in this area. 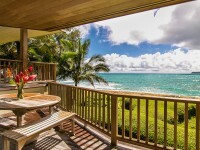 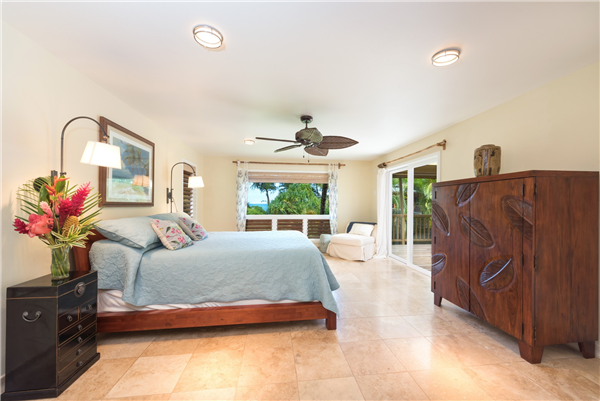 Views of the ocean are seen from the lanai, living room, and master bedroom. Tasteful furnishings are found throughout the house, and numerous decorator touches create a feeling of elegance and comfort throughout the home. 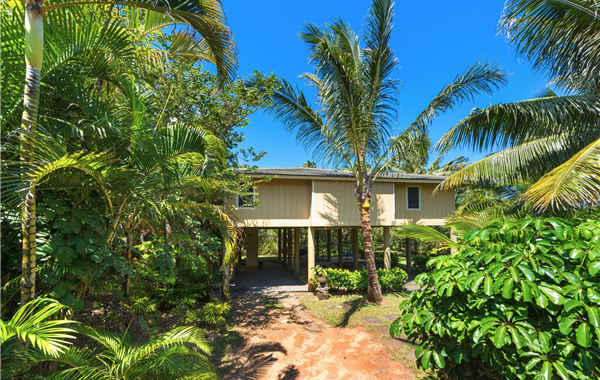 This is a home and a setting you will never want to leave. 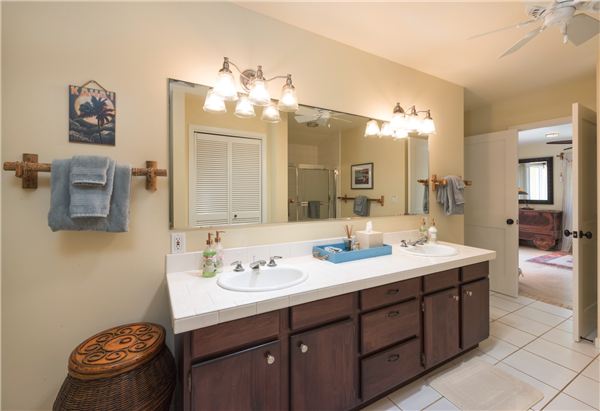 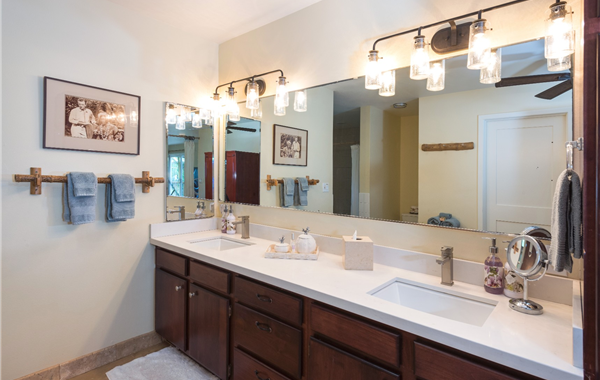 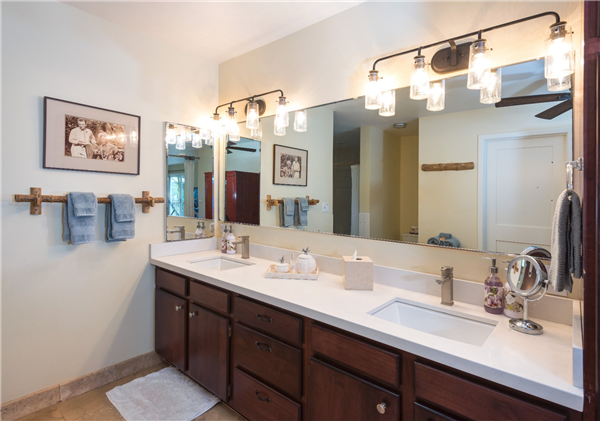 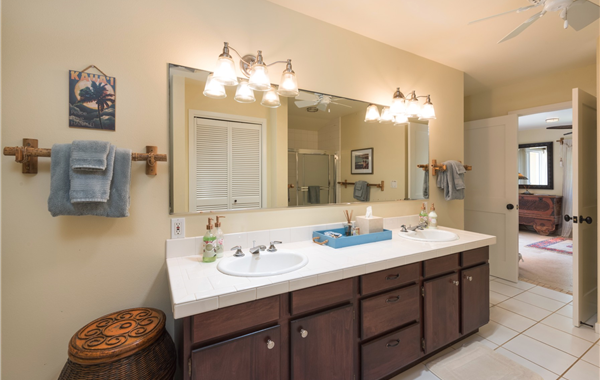 This light-filled home has three large, tastefully-decorated bedrooms and two and a half bathrooms. 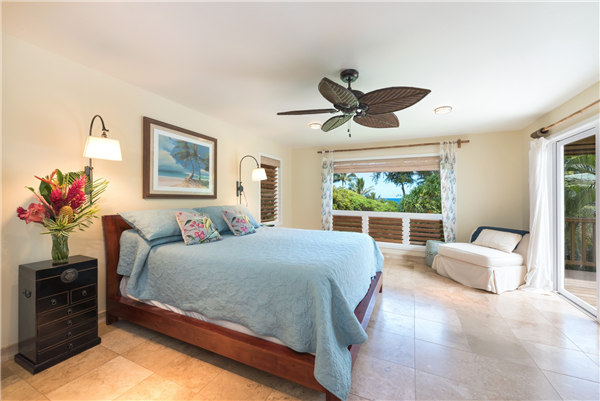 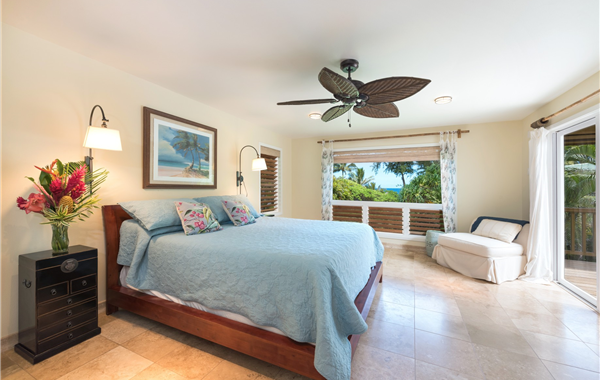 The spacious master bedroom features a lovely ocean view and the HUGE master bathroom includes a double shower and a Jacuzzi bathtub. 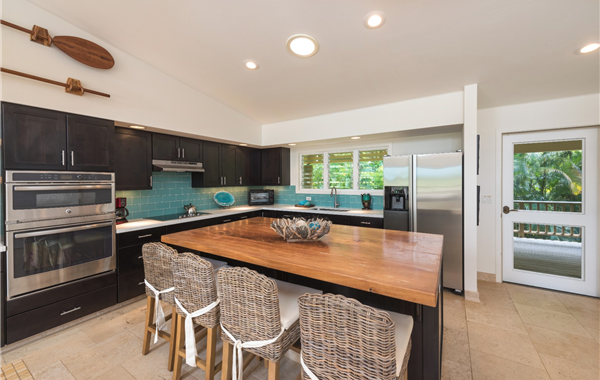 The kitchen is large and fully equipped, and the ocean-side lanai is spacious and inviting, perfect for dining or simply to savor the fresh, breezy tropical ambiance and views of whitewater waves. With its ocean-view exposure and private setting, the home is restful and rejuvenating. 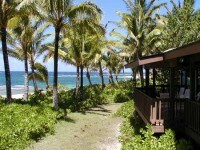 You’ll sleep to the sound of ocean waves and trade winds rippling through the large palm trees. 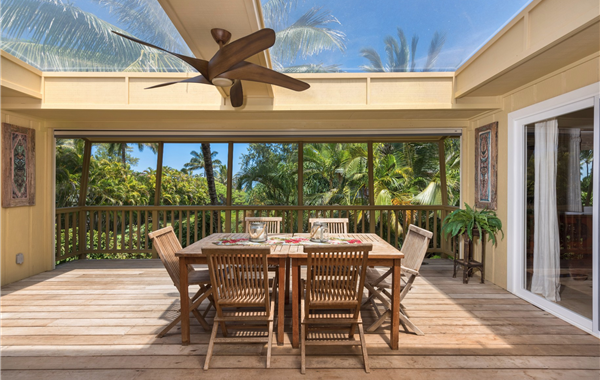 Hale Hina is situated in an area where the trade winds are particularly refreshing, and the house is well-elevated to take full advantage of them. 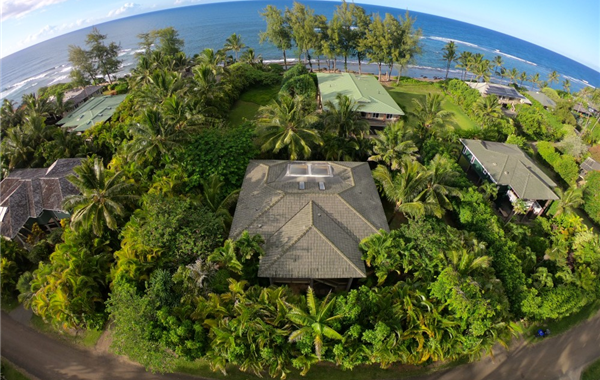 The Orchid House is within walking distance of spectacular Tunnels beach, where you’ll find some of the best snorkeling and swimming on Kauai. 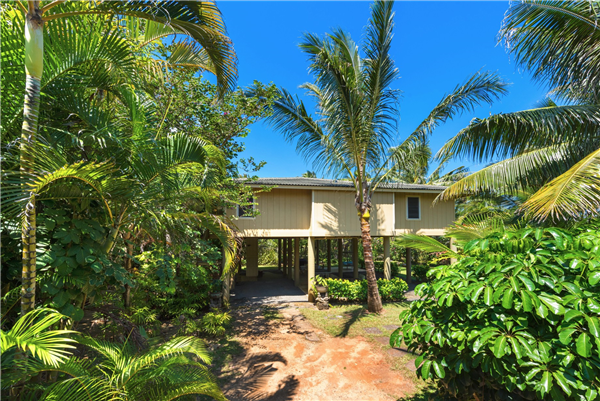 You can walk out of the house with your morning coffee, down a short garden path, and be on the beach in less than two minutes enjoying a secluded ocean vista in nearly complete privacy. 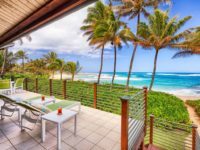 The short walk from the house to Tunnels Beach passes whitewater waves crashing along a crescent-shaped cove, and is one of the most beautiful beach walks in all of Hawaii. 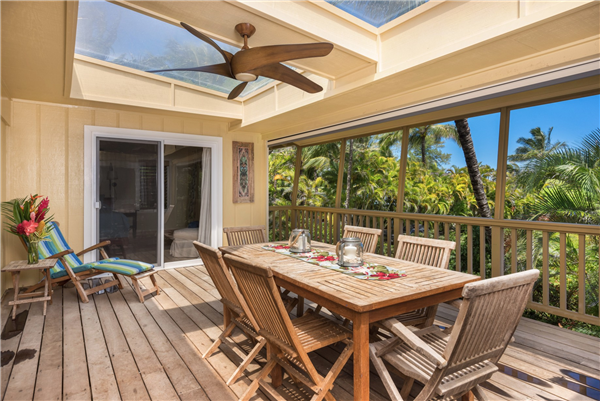 But there is something so calming about having a morning coffee on the ocean-side lanai that it might cause you to postpone that walk on the beach for just a few minutes longer. 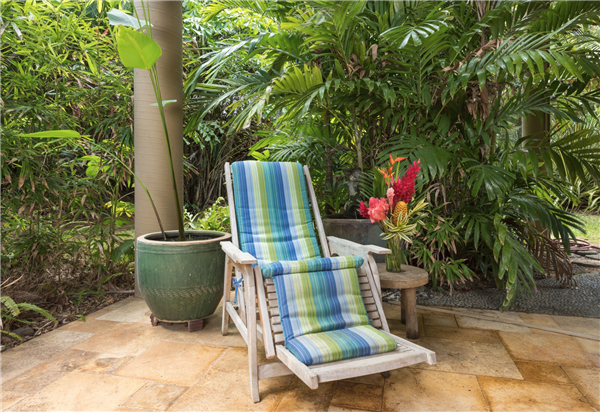 You’ll also enjoy the extraordinarily large, travertine-tiled, furnished outdoor sitting area complete with restful tropical gardens and Hawaiian daybed. 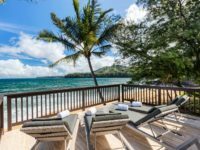 There are plenty of Tommy Bahama beach chairs, snorkeling gear, beach toys, boogie boards, MP3 players, and plenty of books, games, and movies. 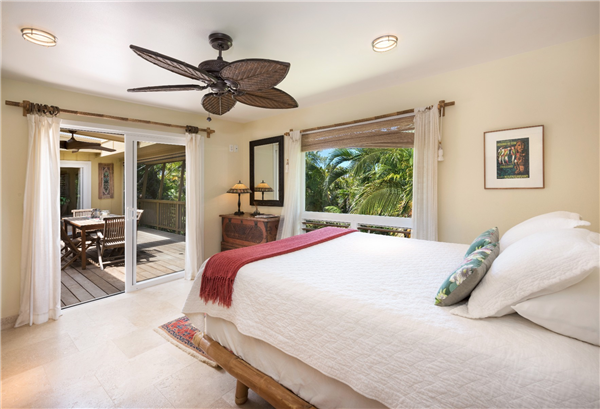 Wi-Fi is provided, as well as unlimited long-distance calling to the U.S, so you can even put away your cell phone for a while. 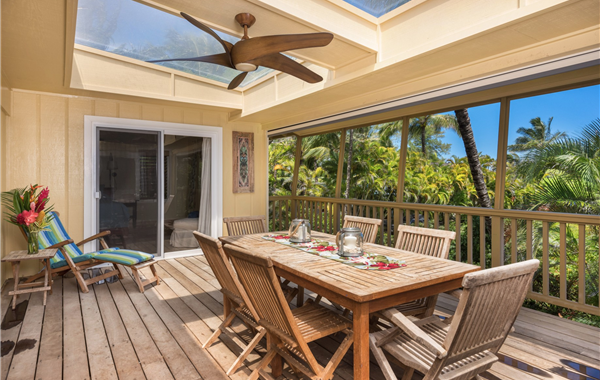 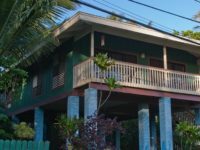 Few, if any, Haena vacation homes offer their guests all that the Orchid House does, at anywhere near the price. 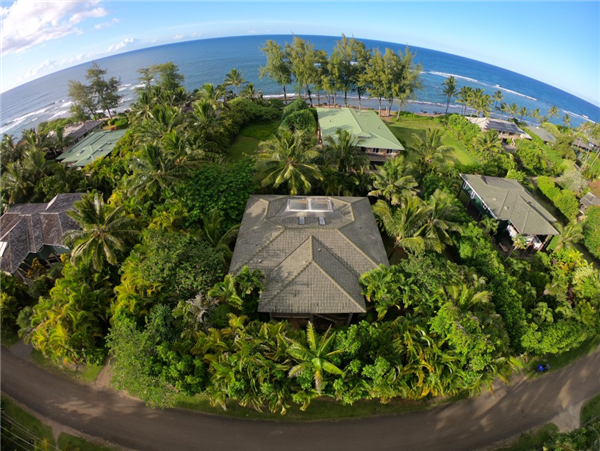 Treat yourself to an exceptional Haena vacation experience. 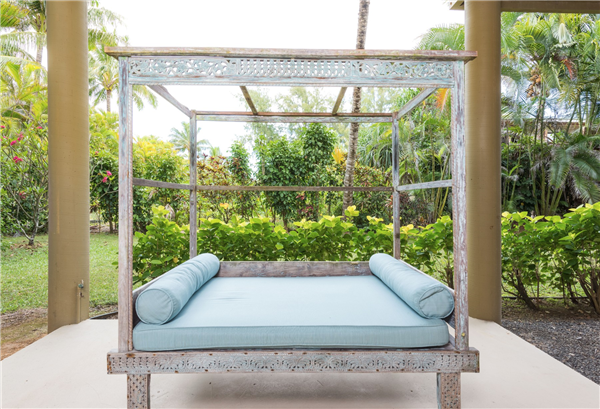 “The Orchid Hale was absolutely one of the most beautiful experiences of my life. 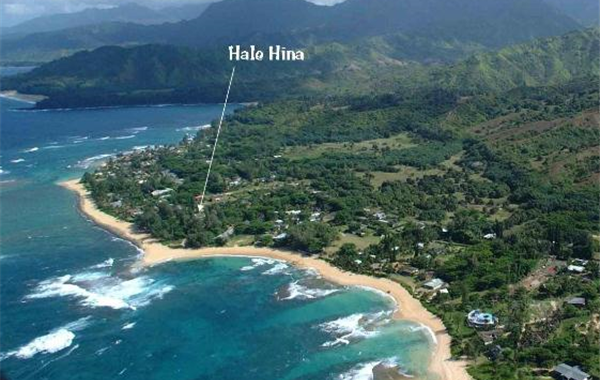 The location was perfect for avid snorkling fans. 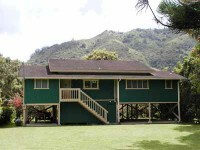 The home was well equipt and we really wanted for nothing. 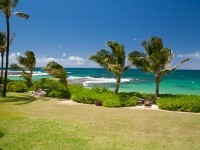 We would return in an instant”. “The house exceeded our already high expectations with its upscale furnishings, beautiful locations, and many small touches (and tons of beach toys!). 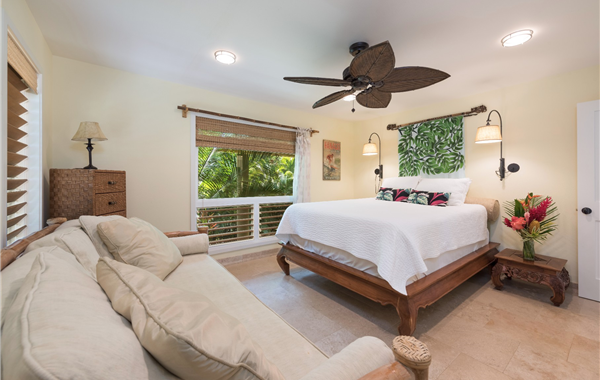 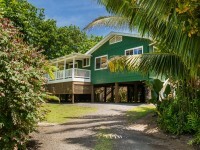 This is a true gem, and the nicest place we’ve rented on Kauai by a considerable margin”. 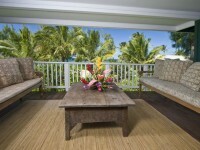 “I have been to Kauai several times before but never have I stayed in such a luxurious, restful vacation home. 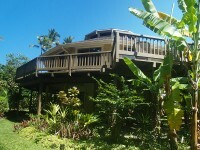 The weather was beautiful, we swam everyday, enjoyed the barbecue and the outdoor sitting area. 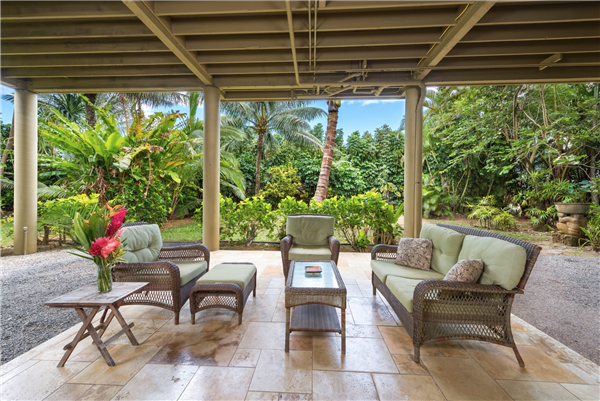 The gardens and landscaping of this property are spectacular! 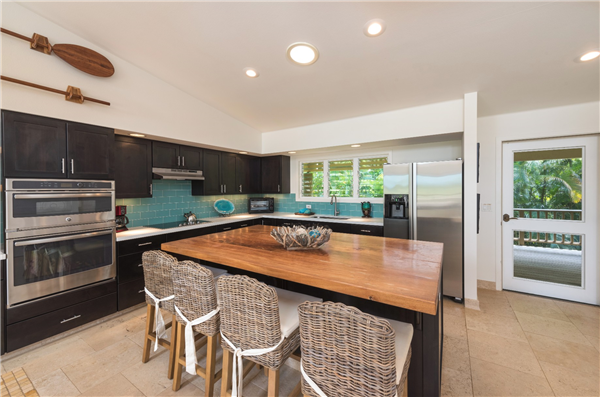 This home is a true gem – the kitchen lacks nothing, the ocean views are lovely, and the bedrooms and other areas are filled with lovely furnishings and gave us such a relaxing feeling. 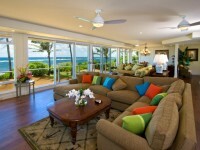 This home is truly one I know I will be coming back to”. 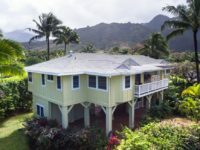 “Aloha! 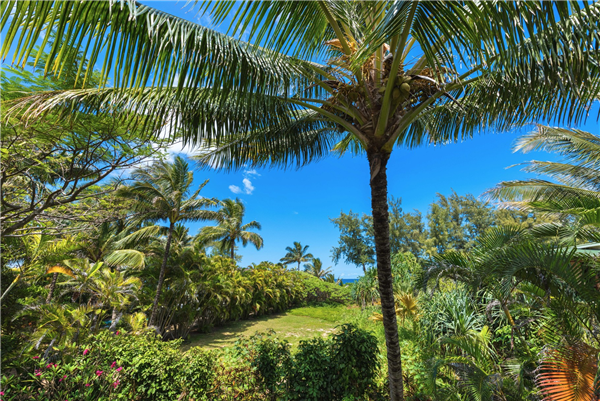 We’ve been so blessed by this paradise. The gentle dance of the wind in the palms and on the waves was our soundtrack. 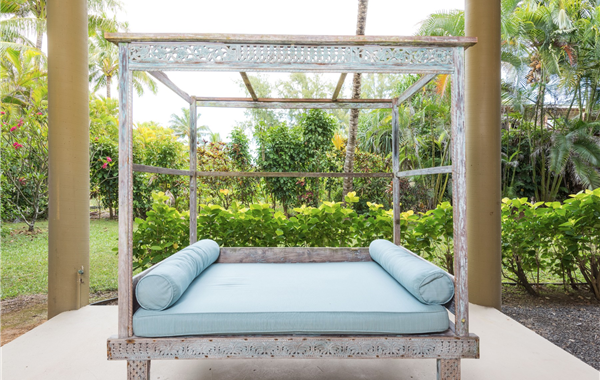 The sweet singing of birds and the eager crow of roosters was music to our hearts. 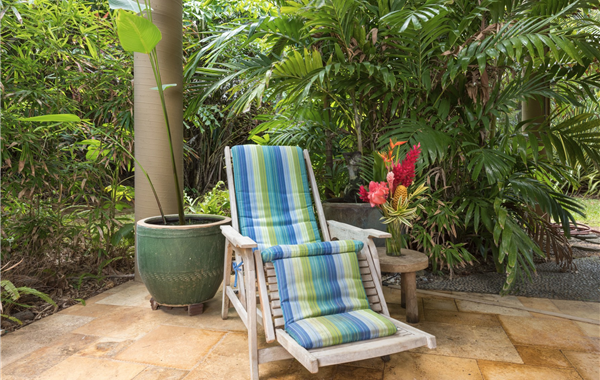 This home became our sacred refuge from a world of busy minds. 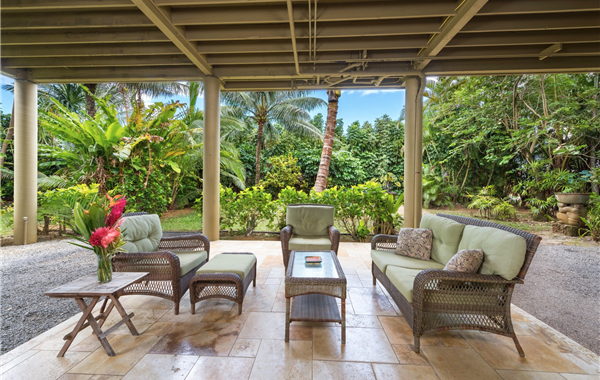 We dined on the lanai, shopped at the farmer’s market, walked the streets and beaches and marveled at the beauty. 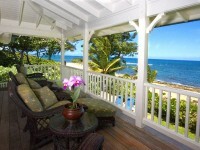 We watched each sunrise with Kona coffee and relished each sunset. 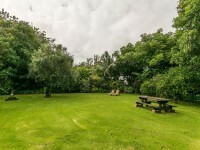 We feel we belong here in the lush green, amidst the purity of creation and her swiftly moving clouds. Thank you for sharing your home with us. 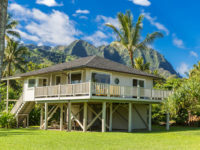 Aloha and Mahalo”. 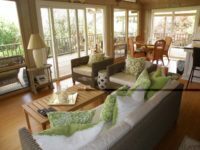 “Stayed here for four nights with my boyfriend, his sister and her husband, and his parents. 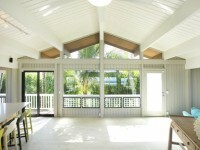 The house is great, just what we were expecting. 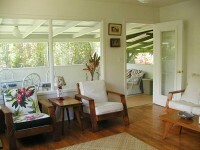 The property manager was a pleasure to deal with. 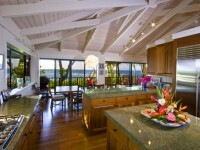 We hired the personal chef they recommended one night and had an amazing meal. 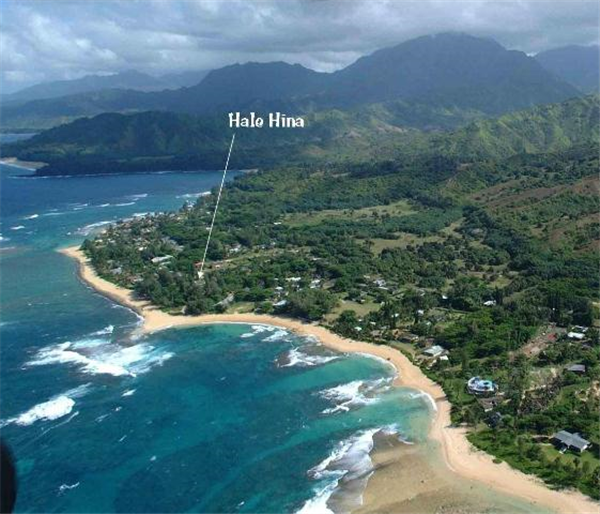 This is a great jumping off point for exploring the north shore and hiking Na Pali”.